A penthouse at The Charles (pictured above) on First Avenue was recently purchased for $37.9 million, making it the most expensive condo ever purchased in the Upper East Side east of Third Avenue. The six-bedroom and six-bath unit in the new development was sold within the four week period leading up to September 1st. It was also the most expensive sale during that period, according to a monthly report published this week by CityRealty that tracks apartment sales and prices in Manhattan. The second most expensive unit sold during the period covered by the CityRealty report was also a penthouse unit in The Charles that was purchased for $20.7 million. Homes west of Third Avenue in the Upper East Side typically command the highest prices, so these sales buck that trend. 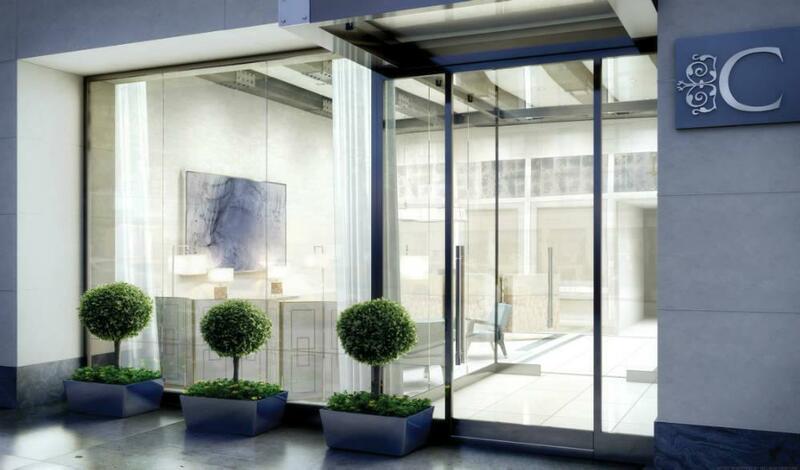 A condo at The Marquand, still in the Upper East Side but this time west of Third Avenue, was the third most expensive sale in the period at $14.8 million. The Upper East Side is one of the most expensive places to live in the country. In fact, even at less than one square mile, property on the Upper East Side is worth more than property in several entire states. It has an astounding $96 billion of housing value, placing it above New Hampshire, North Dakota, South Dakota, Vermont, Wyoming, and Alaska. But despite having the top three most expensive sales in Manhattan during the period covered by the report, the Upper East Side was still only the fourth highest grossing region in Manhattan for condo sales. According to CityRealty, the region’s 30-day total sales gross was $212 million, behind Downtown Manhattan at $397 million, the Upper West Side at $221 million and Midtown at $220 million. The Upper East Side did have the second highest price per square foot at $1,771, second only to Downtown Manhattan’s $1,985 per square foot. The average sale price for apartments (both condos and co-ops) across all of Manhattan dipped just slightly since CityRealty’s last monthly report, down to $1.7 million from $1.8 million. The number of recorded sales, 1,071, was also about the same. Follow @bbhnyc for more NYC real estate market trends.